Turn any blank surface into an artistic space with a cool system called “paint by drone”. 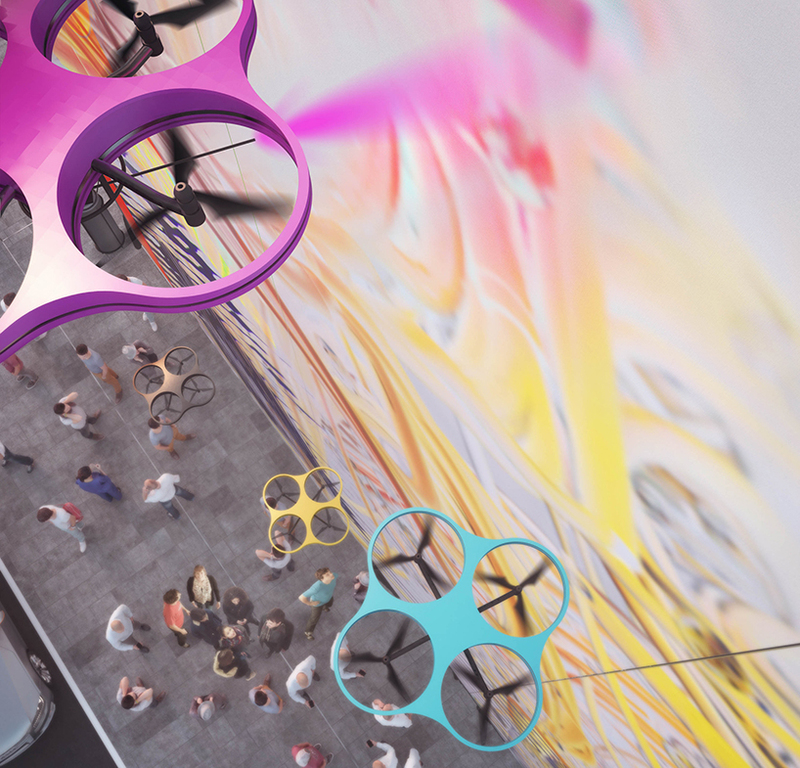 Our partners at carlo ratti associati are planning to paint empty urban surfaces across the world — not by hand, but by drone. The studio has developed a system called ‘paint by drone’ that can draw on building façades, turning any blank surface into an artistic space for urban data visualization. A fleet of one-meter wide unmanned aerial vehicles known as Drone Graffiti Artists carrying spray paint tanks are filled with CMYK paints. 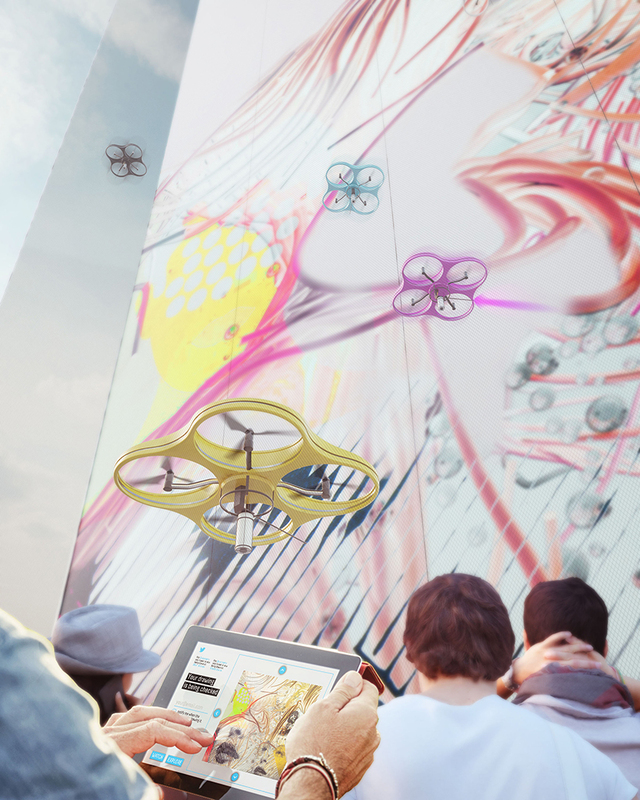 Equipped with sensors, the drone graffiti artists are programmed to draw content submitted digitally via an app, while a central management system regulates their operations in real-time. The artistic input can be derived from multiple outlets, such as crowdsourcing platforms or from curators collecting several contributions. 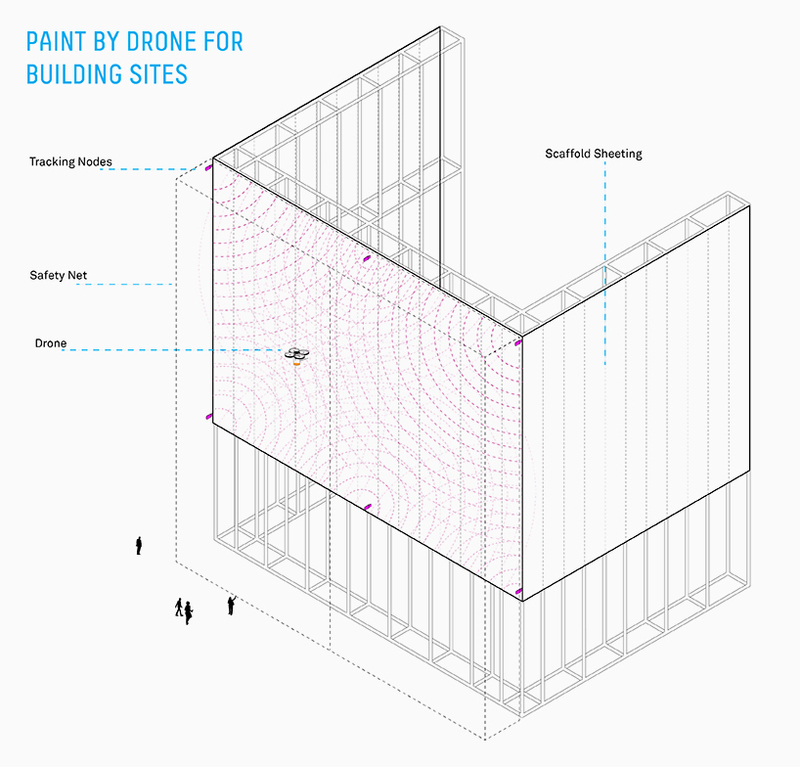 The first two installations of ‘paint by drone’ — which propose to use the façades of construction sites as giant canvases — are planned for fall 2017 in Berlin and Turin. The collaborative graffiti projects will allow either an artist to do an initial drawing on the canvas to be colored in by users — with each person picking a favorite ‘spot’ for the drone to paint — or offer people the option to use the mobile app to draw their designs.